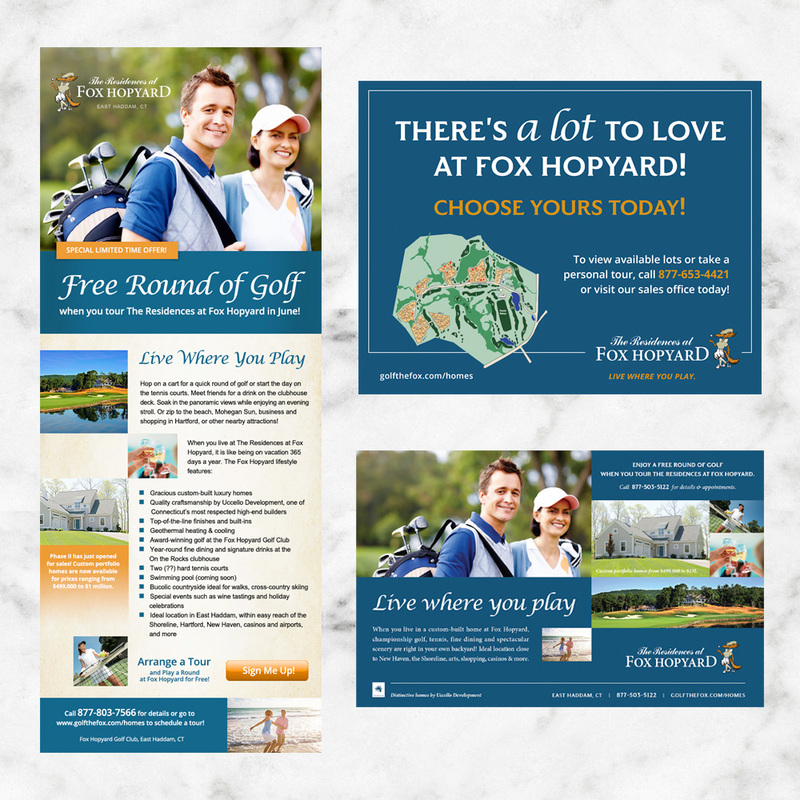 The Residences at Fox Hopyard asked Radar Marketing Group to help promote their master planned community of custom-built luxury homes located around Fox Hopyard’s award-winning bucolic golf course in East Haddam, CT. Our job was to create a marketing plan that would target and reach potential home buyers in nearby markets. 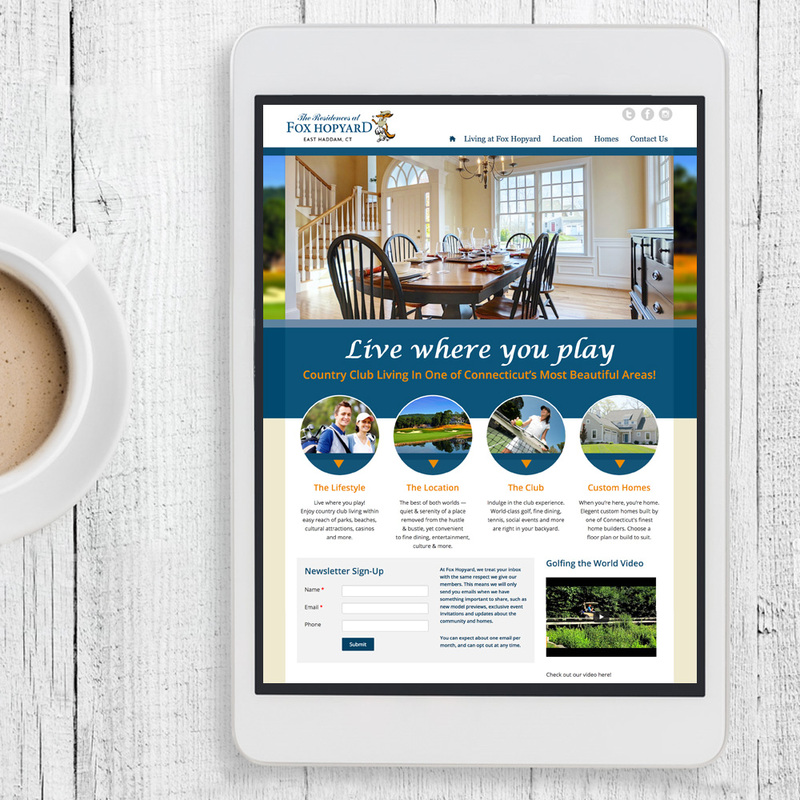 By marketing the community lifestyle, as well as the product, we were able to connect with buyers in an emotional way. 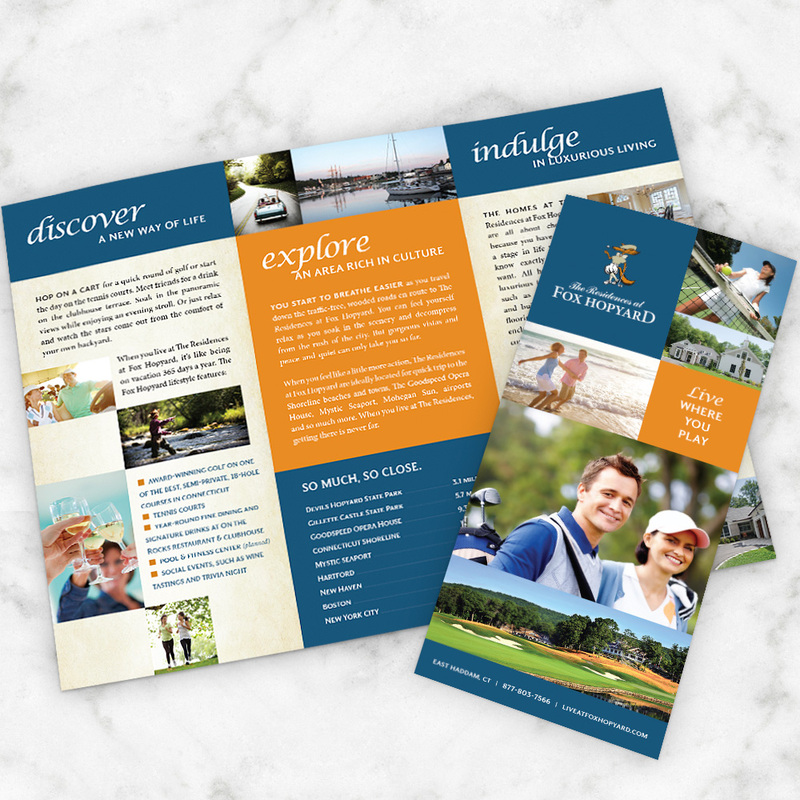 Today the community continues to grow and is currently in Phase III of development!